At Hidden Gem Cakes in North Phoenix, we can make any custom cake your heart desires! 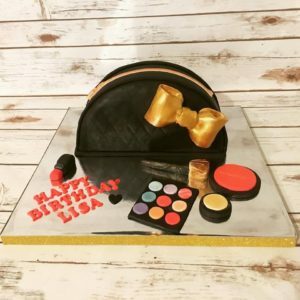 This makeup cake is super trendy right now. It can be customized with any colors you like and made in several shapes and sizes.